The number of patients with an advanced age over 65 years waiting for an organ as well as those donating organs has been increasing over the past decade. 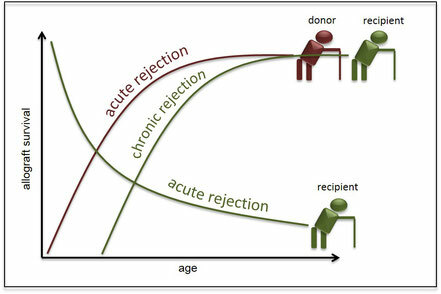 Donor age is an independent risk factor of allograft survival but the underlying mechanisms still remain elusive. We are interested in the characterization of senescent organs according to their immunological phenotype in order to understand the impact of immunosenescence in SOT in more detail.